Throughout your life, you will have heard about loads of different jobs which sound far too cool for a normal person to be doing. From roles which involve working with dangerous animals, to those which can paint you as a hero, most people have a least a handful of professions which they will love the sound of, but won’t have any clue as to how they can get into them. 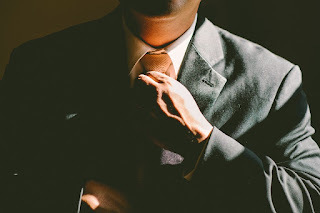 To help you out with this part of life, this post will be exploring some of the best methods which can be used to give yourself the job title you've been dreaming of. With this in mind, achieving this goal should be a simple matter of getting to it. For a lot of people, the go-to route towards securing a good job will be to work up to it from something else. There are loads of entry-level jobs out there, in fields which a lot of people would like to work in, and this is something which you can get started on right away. It’s unlikely that you’ll love your job from the very start. In fact, you may find it a challenge to keep yourself engaged, with the work you’re doing being much easier than your end goal. Enabling you to achieve positions like CEO or creative director, though, this sort of route can be great, especially for those without much on their resume. There are some jobs out there which can only be done by those who have proven their dedication to the field they are working in. For example, if you want to be a zoo keeper, you’ll benefit greatly from having spent a couple of years giving up your free time to work in a zoo or animal shelter. A lot of positions will give you training when you’re first starting out. Before they can afford to do this, though, they will expect you to have shown a passion for the job, ensuring that they don’t waste their money. Of course, like the option above, this could be a challenge to keep yourself engaged with. You can find loads of blogs around the web which suggest the idea of studying online. Very few of these articles will cover jobs like FBI or secret service agents, though. An online criminal justice degree could be harder to achieve than a regular course, but will provide you with the background you need to get into jobs like these. There are loads of fields which require specific knowledge to be able to work in. By giving yourself these skills, you will have an upperhand in the world of employment, practically securing your dream job title. The people you know in this world can make a huge difference to your prospects, with those in high places often being able to circumvent normal hiring processes, helping their preferred candidates to slip into a job. In the modern world, it’s never been easier to build a network of powerful people who could help you with this. Social media is a great place to start with this. By tweeting at, tagging, and sharing things with your favourite professionals, you will quickly start to get your name recognised. After a short time working on this, you should be ready to be a little more direct, and will be able to start offering your skills to help them out. After doing a couple of things for free, it shouldn’t take long for your name to be passed around amongst those recruiting in the field you love the most. Being an expert in a single subject is a rare thing, nowadays. Instead, professionals often dip their fingers into multiple fields, limiting their chances of securing something really cool. Starting a blog, YouTube channel, or any other media outlet for your passion, you will be able to push yourself towards being recognised as an expert. If you wanted to get into high-level politics, for example, creating a publication which covers this topic could help you to get noticed by loads of different people, and this is a route which a lot of people in jobs like this take. Of course, this will always take a good amount of work. While job titles are important, you should always choose the job you pursue based on what you like. For example, if you don’t like telling people what to do, but love the idea of protecting people, becoming a soldier could be a good option, but being a CEO would be a struggle. Of course, though, a big part of this will be viewing your job as something desirable.